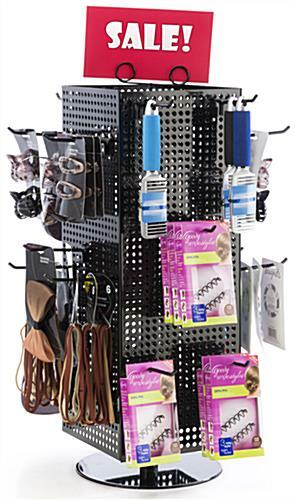 This countertop pegboard display with black hooks features a fully rotating design. 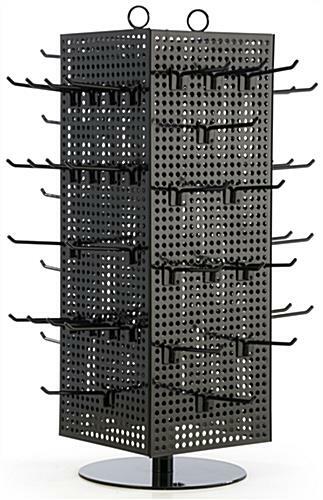 Customers can easily browse through retail items using the spinner rack. 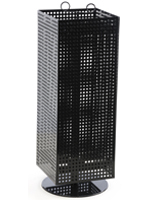 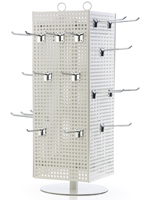 Each point of purchase pegboard display is perforated for use with merchandise hangers atop a rotating circular base. 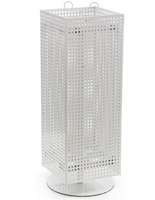 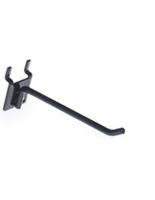 A set of sixty metal holders is included with each purchase. 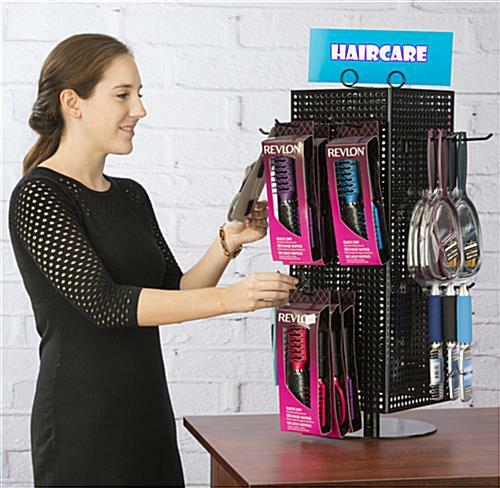 The pegboard display is great for use as a point of purchase spinner rack that can be placed near cash registers and in other high-traffic areas. 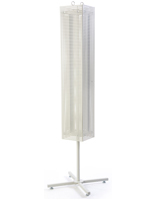 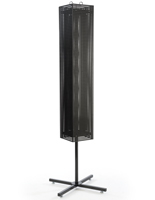 The four-sided rotating design ensures that the retail fixture will be visible in all directions. 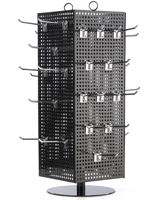 18.5" x 28.3" x 18.5"
Was very easy to put together and adds a very professional look to my vending tables.